I am eagerly awaiting the collaboration between Nine West contributing style director Kate Ciepluch and Decades owner Cameron Silver. 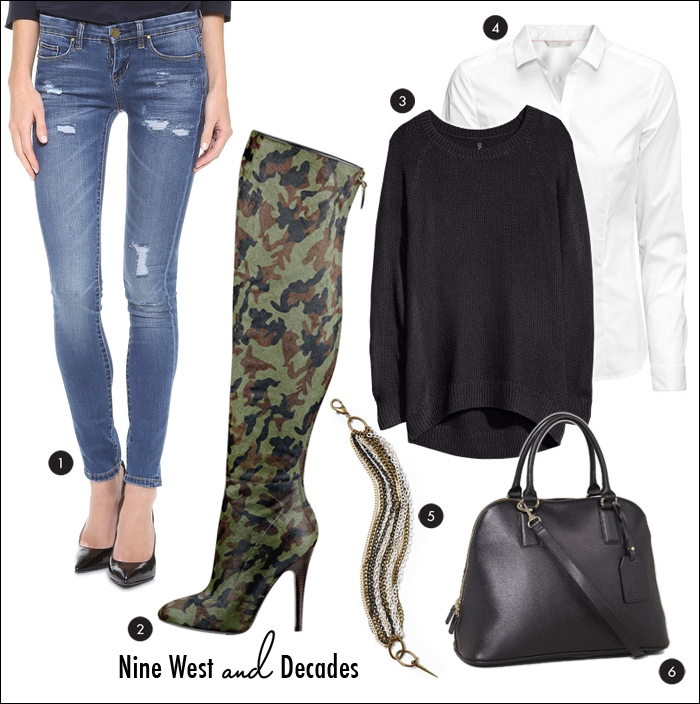 It will be a limited edition collection - of which I am definitely eyeing these over-the-knee camouflage calf hair boots. The overall collection will have a punk rock vibe inspired by the 1980s and will include d'Orsay flats, scalloped pumps, and slouchy booties - with a touch of iconic neon.